Every man over the age of 60 worries about his PSA level. 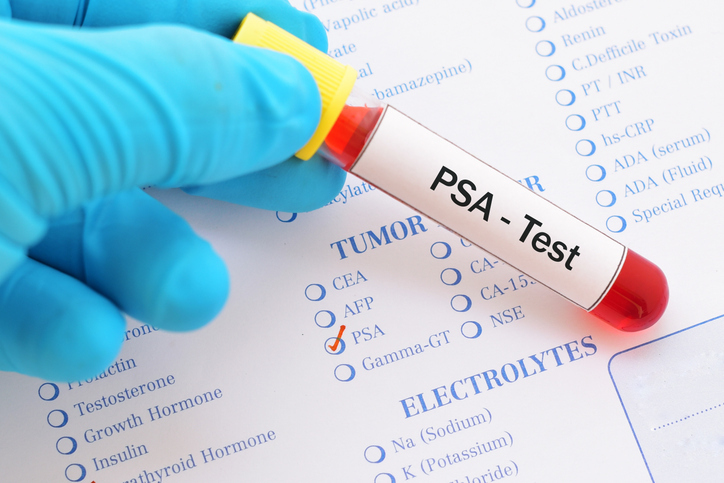 PSA stands for Prostate Specific Antigen and is actually more a measure of the size and hence inflammation of the prostate. Here are ten ways to reduce your levels naturally. Your PSA is used by Doctors as a measure of your likelihood of prostate cancer. One measure is pretty meaningless, but several can give a warning or show a trend. Some people prefer to measure DHT levels since DHT is the driver of prostate cancer. Treat the ten items as a highly effective package, not just a pick and choose list. 1. Lycopene – people who take this natural compound which is found in tomatoes has less prostate cancer, less risk of aggressive prostate cancer and less risk of fatal prostate cancer. Research shows that lycopene reduces fat levels in the blood stream. 25-60 mg is a good daily level. 3. Curcumin – a polyphenol known to reduce inflammation and known to have action against cancer cells. (1-2 gm with olive oil and black pepper). 4. Resveratrol – another inflammation reducing polyphenol with strong proven actions against cancer (500 -1000mg). 5. Pomegranate – a polyphenol which contains powerful ellagic acid shown in research to have specific action against prostate cancer (500 - 1000mg). 6. Black Cumin Seed – what doesn’t it do? Anti-inflammatory hormone balancer; some people rub the oil directly into the skin over the prostate at night time to reduce size. 7. Zinc – known to collect in the prostate and to be essential for prostate health(15-25mg). 9. Diet – the fish oils, extra virgin olive oil and other good oils and fats, along with the high polyphenol content of the colourful Mediterranean Diet – the Rainbow Diet epitomized in Chris Woollams best-selling book – is an essential part of fighting a high PSA and prostate cancer. 10. Exercise – and we don’t mean strolling through the woods with the dog at weekends but 45-60 aerobic minutes at least 4 days a week where you get out of breath for 20 minutes. We’ve had people beat their prostate cancer who took up badminton, walking football, gym workouts and kite surfing! Yes, even after the age of 60. Beware – some drugs can put up your PSA levels. We had one patient on a blood thinner. When he came off it, his PSA halved in two weeks! Beating prostate cancer is all about inflammation control – controlling bad fat levels with supplements, diet and exercise.